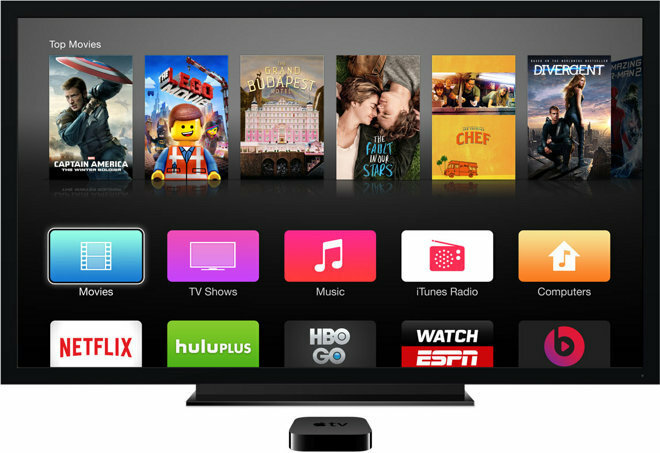 Apple is laying the the cost and responsibility of streaming infrastructure on TV networks participating in its upcoming subscription Internet TV service, according to industry executives quoted in a Wednesday report. Speaking with people familiar with the matter, Re/code reports that while streaming video is normally a relatively low-cost proposition, Apple is concerned that those costs could escalate dramatically for a heavily-promoted service. Apple's head of Internet Software and Services, Eddy Cue, is reportedly in charge of negotiations for the new platform and telling TV executives that Apple wants to concentrate on its strengths, namely hardware and software, leaving streaming infrastructure to more experienced parties. One source lobs a different theory, saying they think Apple could be angling to present Internet service providers with a more enticing deal. If providers field their own streams, ISPs that also bundle content may be less likely to kneecap Apple's rumored service, the report said. As noted by the publication, Apple's request is to be expected considering many video services already "stand up" their own streams in partnership with third-party content delivery networks. Some content providers supposedly in talks with Apple, like Fox, CBS and Disney, are among those networks. Little else is known about the upcoming service. Earlier reports have suggested that it could be announced at the Worldwide Developers Conference in June, and launch in September at prices between $30 and $40. In terms of content Apple is expected to offer a "skinny" bundle of channels, including major ones but omitting more niche content. Subscriptions could launch alongside a new Apple TV pegged for the same timeframe. The set-top is believed to be getting an A8 processor, Siri, and extra storage, the later required for a new App Store.